Scientists at CERN have announced their most recent results in the search for the Higgs boson (God particle). The Higgs particle, first hypothesized in the 1960s by physicist Peter Higgs and others, would help explain why elementary particles, such as quarks, have mass. Finding the Higgs—or ruling out its existence—was the prime motivation for building the Large Hadron Collider (LHC), where researchers collide protons traveling at nearly light-speed to create new particles. John Ellis, theoretical physicist, in the video below answers the question "Are we close to discovering the Higgs Boson and why is it so difficult to find it?" in preparation of the Press Conference following the scientific seminar announcing results of the searches for the Higgs boson on July 4 2012. A VIDEO from Europe's CERN physics lab, apparently posted mistakenly on the eve of an announcement on the elusive "God Particle," reveals that a new subatomic particle has been observed in the relevant range. 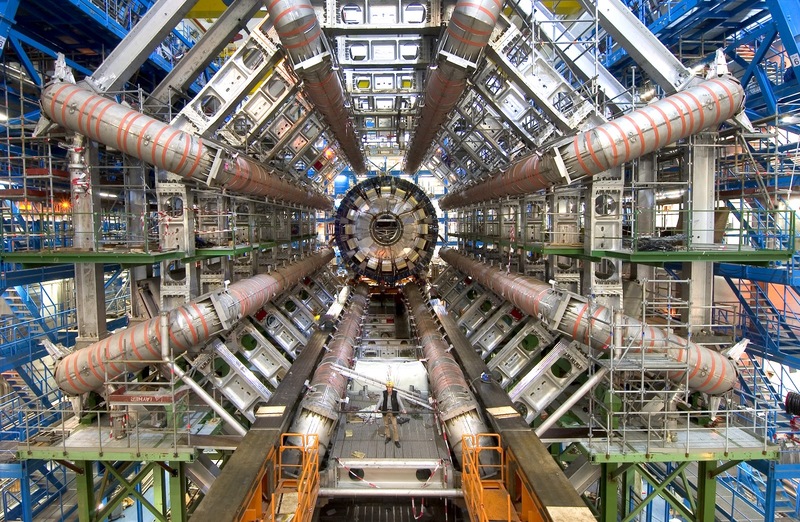 The leaked video was relocated to a password-protected part of the CERN Web site. The video above was accidentally published on the CERN website and appears to have leaked the long-awaited discovery of the Higgs boson that was officially announced on the fourth of July. According to the Telegraph, Cern say that this is one of several videos they have made, one for each of the possible outcomes, as though it's a presidential election and they've written one speech for victory and one for defeat. Soundbytes from the interviews of Peter Higgs, Francois Englert, Carl Hagen and Gerald Guralnik, recorded at CERN on the announcement of the latest results from ATLAS and CMS on the Higgs boson searches.